Ah, the allure of Paris. 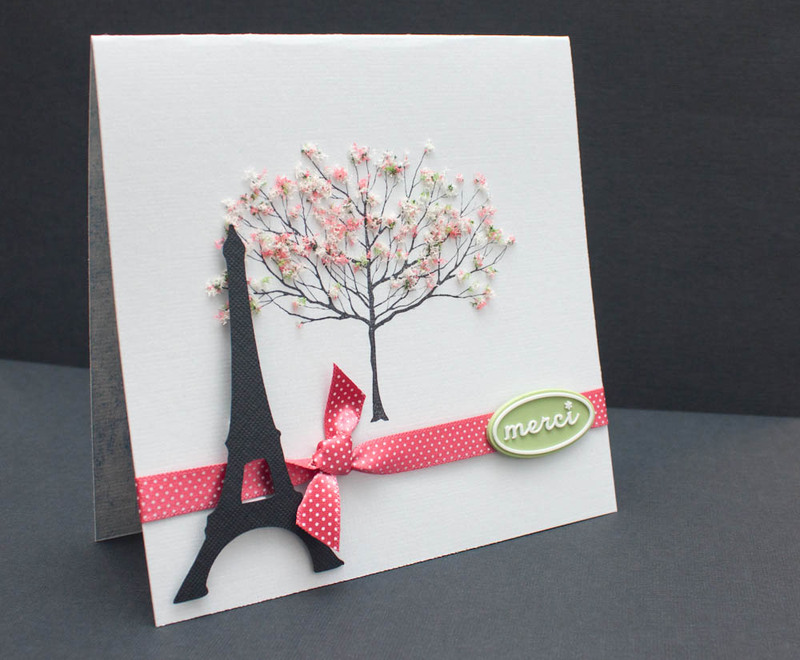 The crafting world has a French vibe now, seen in stamp sets, embellishments and more. 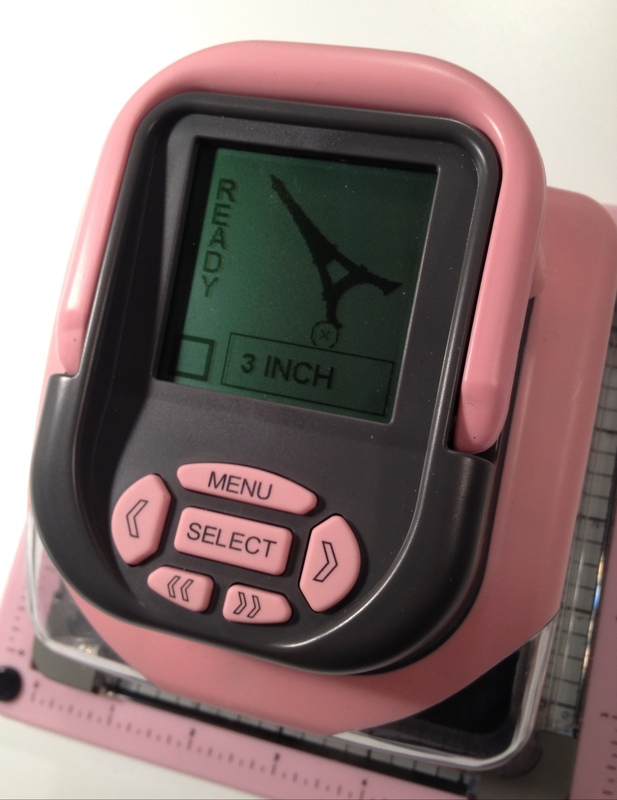 I have an Eiffel Tower shape on my Slice “Je t’Adore” design card, and I thought of springtime in Paris. I’ve never been, but I’ve heard that it’s nice! 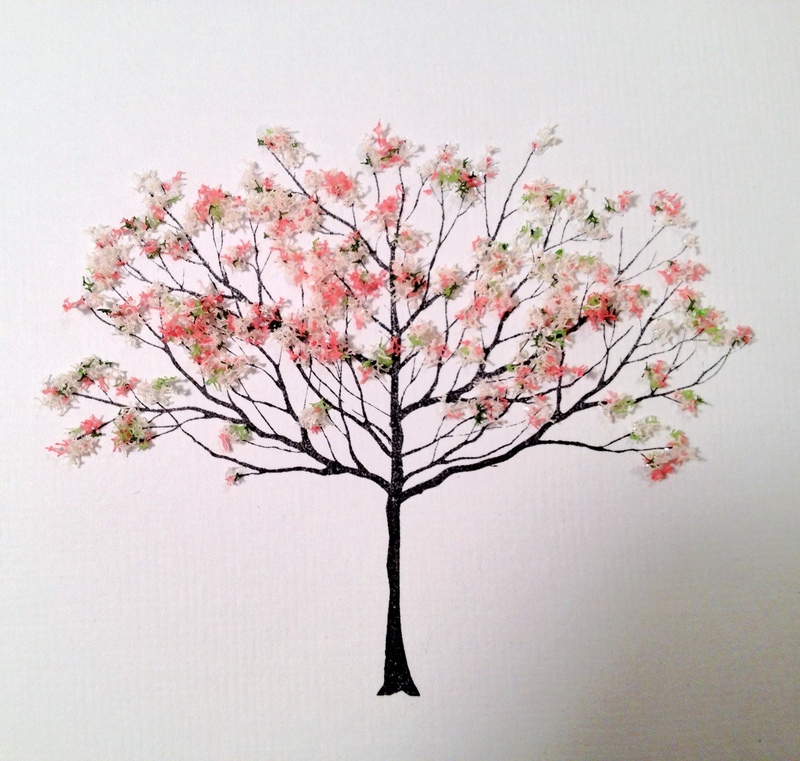 This card is quick, simple and features Flower Soft, a fun product that adds dimension. 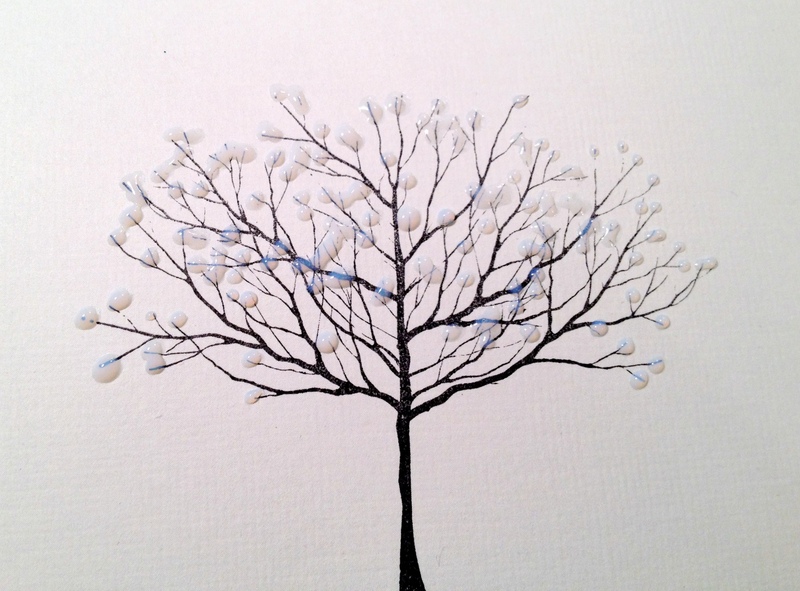 Apply glue to the tree’s branches (I used Aleene’s Jewel-It). 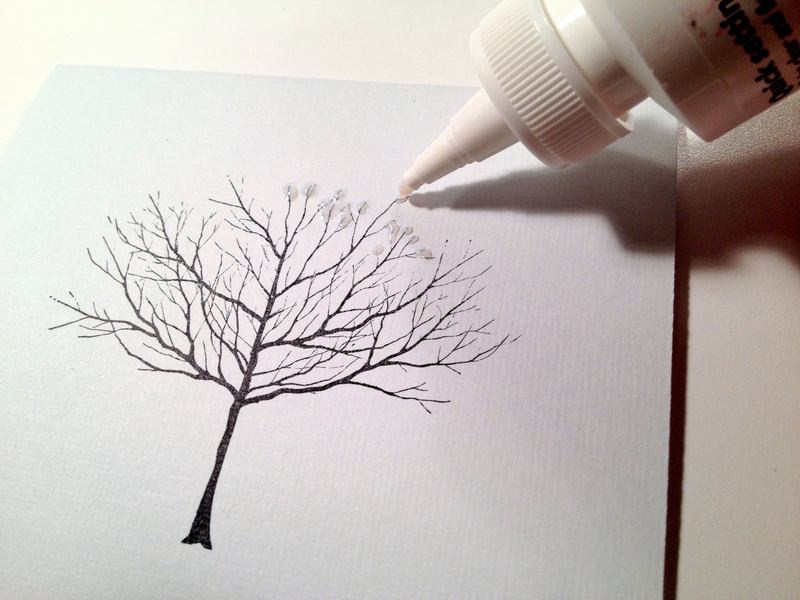 Sprinkle Flower Soft (the color I used is called “sweet pea”) onto the glue and press it down. Shake off the excess Flower Soft. 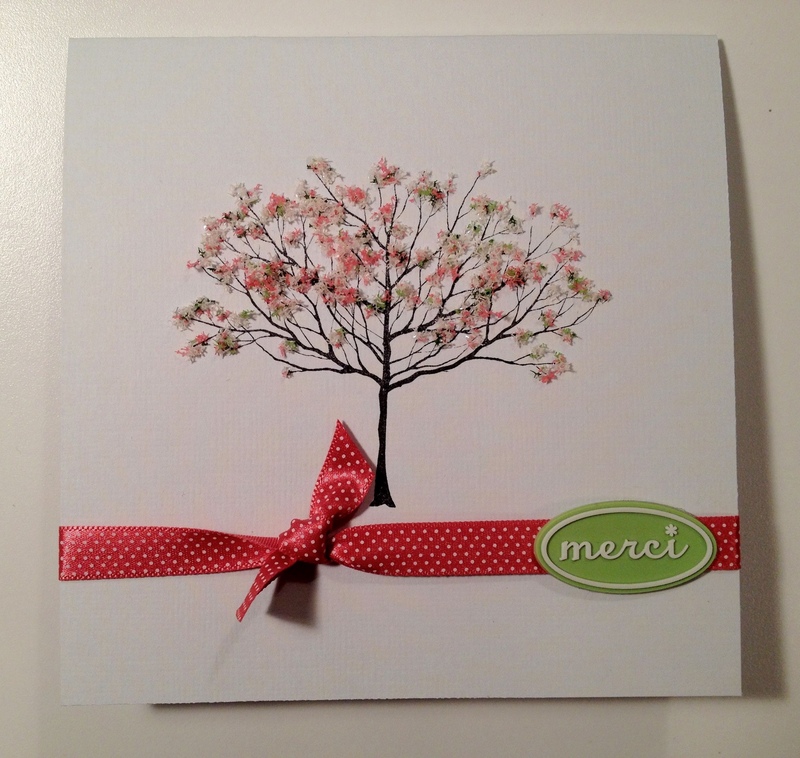 Tie pink ribbon around the card and adhere a “merci” embellishment onto the ribbon (I used a Making Memories jelly label). 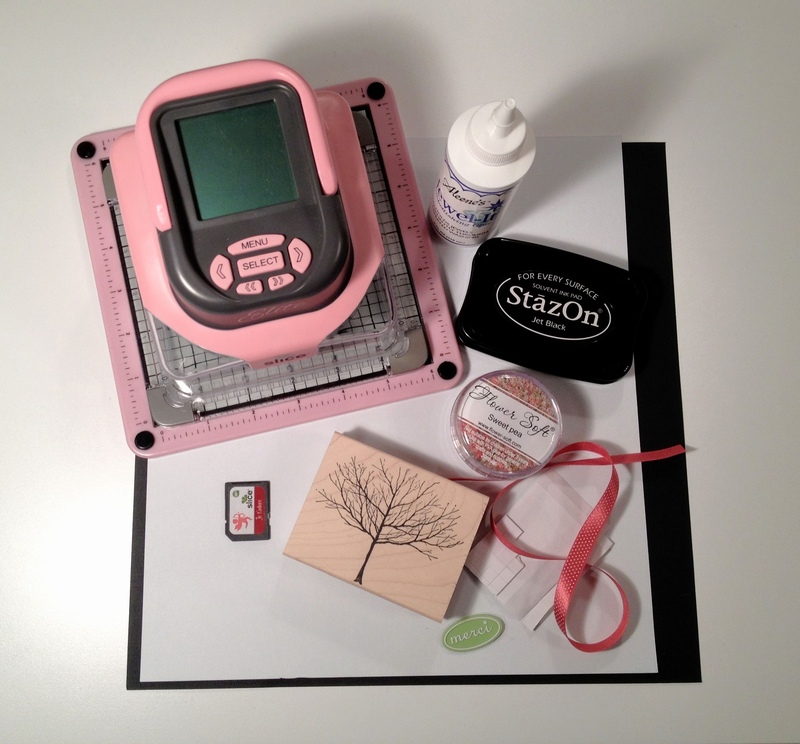 Using the Slice and the “Je t’Adore” design card, cut out a 3-inch Eiffel Tower in black textured cardstock. 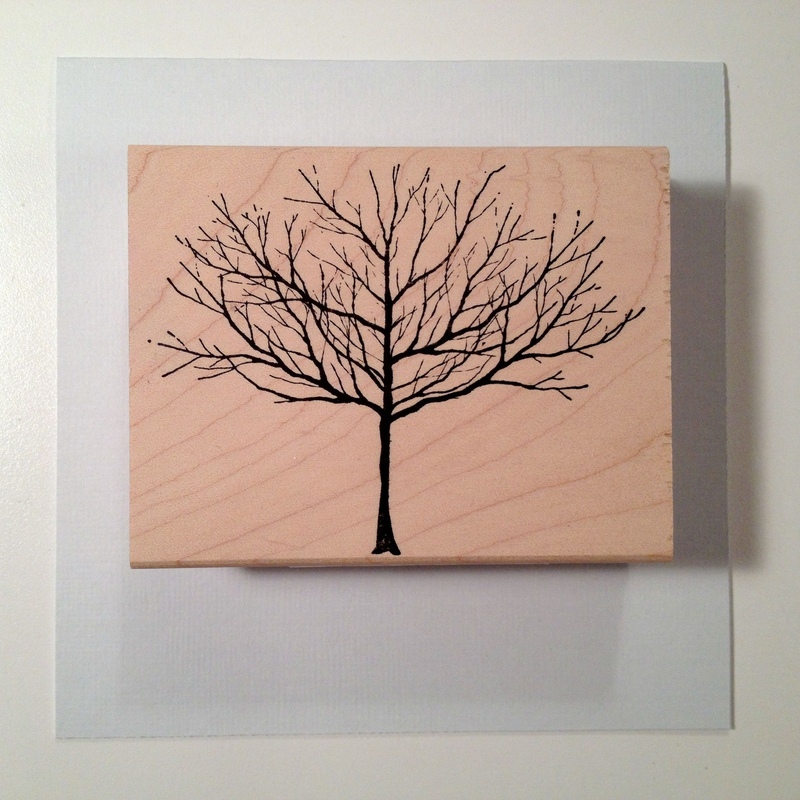 Attach the cutout using dimensional adhesive. Voila! This entry was posted in Spring, Thank you and tagged Making Memories Slice, trends. Bookmark the permalink. ← Color of the year? OOooo, I LOVE how this card turned out!! SO PRETTY and I need to get my Flower Soft out to try this 🙂 Thanks for the reminder about how lovely Flower Soft can be!